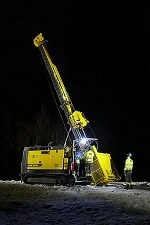 Atlas Copco is to launch a new mobile rig for boring so-called opening holes in mines. The new rig, called Easer, can perform both box hole boring and down-reaming with a hole diameter of 750 mm, as well as conventional raiseboring with a hole diameter of up to 1 200 mm. 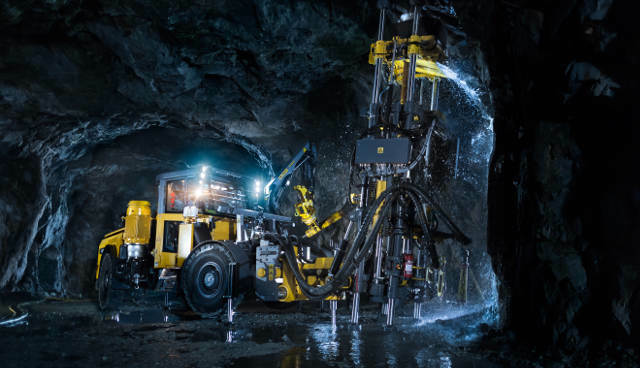 Since its introduction in the mid-1960s, the raiseboring technique has been considered as the safest and most productive way of excavating raises in most mining applications. In block caving, and in most types of sublevel mining, a vast amount of short raises act as openings for the rock to expand into when blasting. Traditional raiseboring machines typically require a concrete platform and tie-down bolts to keep the machine stable during operation. In the total turnover time for such short raises the actual boring time is often below 50%. The increased demand for a highly mobile and versatile rig specifically designed to create these opening holes safely and efficiently, has led to the development of the Easer. The rig can produce opening holes with a maximum diameter of 750 mm and a hole depth of up to 60 m. It uses standard 200 mm (8 in) boring rods with a 228 mm (39 in) pilot drill bit. All the necessary operating equipment is part of the carrier, with the exception of the rods, and the setup procedure does not require any site preparation. The Easer offers the same drilling modes as traditional raiseboring rigs: box hole boring, down-reaming and conventional raiseboring. To switch from box hole boring to down-reaming, the gearbox is rotated 180 degrees – a simple operation that can be carried out in an underground workshop. In raiseboring mode, the Easer can drill up to 1 200 mm. The name Easer is derived from the expression “ease off”, meaning to take off or release pressure, which is used in reference to the blast hole into which rock expands during blasting. The Easer is scheduled for launch during 2014.